Do you really have to give up your guilty pleasures if you want to be healthier? Larissa Pekanova, www.waytobalance.org Certified Integrative Nutrition Health Coach, writer for Thrive Global, enabling you to find your balance, feel your best and be your best. To me this is a normal human reasoning. What saddens me is the guilt people feel about enjoying life’s treats every now and then (I am not talking about addictions here — totally different story). As I health coach I know who’s behind this guilt. It’s the diet/weight-loss industry: they made us associate healthy lifestyle with deprivation, restriction, boredom, frustration, inconvenience and isolation. This perception is as far from the truth, as it can get. Yet most people give up at healthy lifestyle even before trying. According to World Health Organisation “health” means “a state of complete physical, mental and social well-being and not merely the absence of disease or infirmity”. Mental and social well-being are not possible without pleasure. Pleasure is a key condition for health and an absolute essential of a healthy lifestyle. And I can tell you that it is possible to enjoy life and yet become healthier, loose weight, gain energy, become fitter, feel younger, stress way less and be fulfilled and inspired. How? By creating the “right-for-you” balance of the things that will nourish your body and soul. By being not restrictive, but curious, conscious and smart about your choices: in food, in sport, in stress management, and in your life. And above all, by being very clear about why it’s so important for you to become healthier, fitter, more energetic and happier. Understanding the causes of your issues and cravings, experimenting with healthier alternatives, finding the right « dosage » of foods and activities that is both efficient and pleasurable, taking time to create your unique formula of healthy lifestyle is an approach, which ensures sustainable result : a set of habits that you have chosen, liked and want to keep for life. So where does one start if he / she wants to create a healthier lifestyle, but is dreading the inconvenience, restrictions, frustration, and isolation? 1. Be ready for a temporary adjustment period. Creating healthier lifestyle is like moving to a new town: the adaptation period might get you out of the comfort zone. Once adapted, it’ll be as easy as your previous lifestyle, with a bonus of feeling and looking great, being free of negative bagage and having grown as a person. 2. Define your Why. While creating a healthier life you might need to change some things / habits. Your urge to quit can be strong at that point. That’s why you need to be clear about your Why. Your desire to succeed needs to be bigger than the discomfort. If needed, work with a health coach or a life coach to define your Why. 3. Get inspired: find and follow people who have successfully made the change you want to make. Learn about their experience, the ups and downs, their mindset and their system. 4. Explore the healthy lifestyle landscape in your community: the shops, clubs, events, teachers, support groups, etc. Do the same online. 5. Once you are ready to act, start small. Define a specific, realistic and measurable goal. Break it down to specific steps, define timeline, put it in your calendar, stick to it. Keep your WHY close and celebrate every little step. Aim for progress, not perfection. 6. Get a support circle: find friends who will support you in your transition. You can support them with their goals too. Find and join specific closed support groups online. 7. Take online course or hire a expert support if you have inner barriers or, several goals, or a specific health condition, or need guidance / system to get a result (online courses and experts in nutrition, sport, stress-management, psychology, holistic health etc.). Those who have made it, never look back. Going through the initial discomfort of re-organising oneself is nothing, compared to the long-term benefits one gets: feeling stronger and younger, way less doctor visits and pharma expenses, more great time with your loved ones, discovering you have skills of an amazing chef, getting the kids to adopt healthy eating habits, mastering the stress, creating new friends, discovering a new passion in physical activity, letting go of the toxic energy and people, spiritual growth, launching a project that you’ve been putting off etc. etc. Paris has a big community of healthy-minded people who beam with energy; sport youthful looks and has wise sparkle in their eyes. They are not sad miserable robots living off spirulina pills. 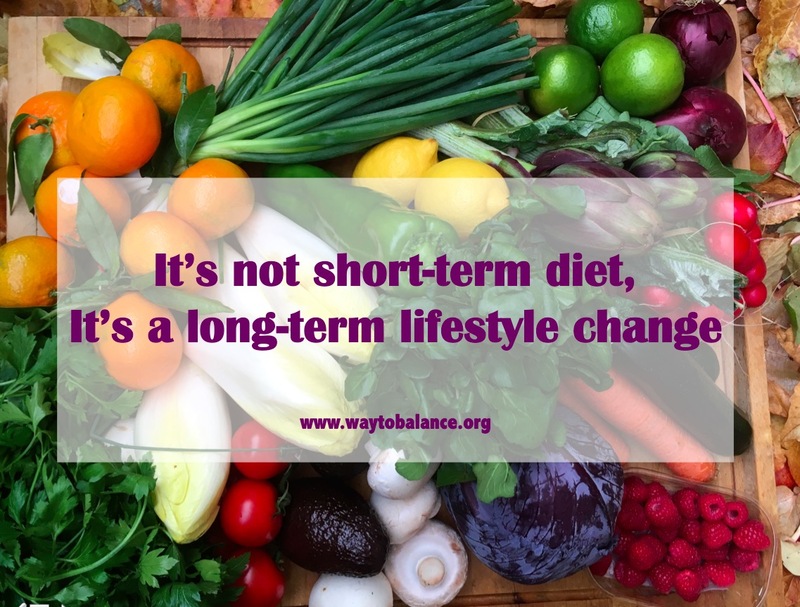 Many of them, like my Clients, have found their own way to balance : a smart way to keep enjoying life fully, while making healthier choices daily. All it takes is mindful exploration of what works and what doesn’t work for one’s health and well-being— in nutrition, sport, stress management and life management; staying in touch with your body and emotions will help you to make right choices. After all, we tend to keep for life only the things we enjoy. Health is the greatest wealth. It’s also a huge pleasure. When will you make your first step? Reach out if you want to chat about it. It’s free, no strings attached. “Being passionate about health and wellness, having graduated from the Institute for Integrative Nutrition, NYC, I empower my Clients to use their challenging health & life situations as a springboard to create healthier, more fulfilling and happier life. Using holistic health coaching technics (nutrition, sport, stress-management, life coaching), I help my clients to prevent burnout, beat chronic fatigue and foggy brain, eliminate muscle tension, improve sleep and digestion, lose weight, take control over mood swings and lack of motivation… create sustainable healthy lifestyle without stress or deprivation.